As I anticipated, the Blake Archive has woven its way into my graduate curriculum. 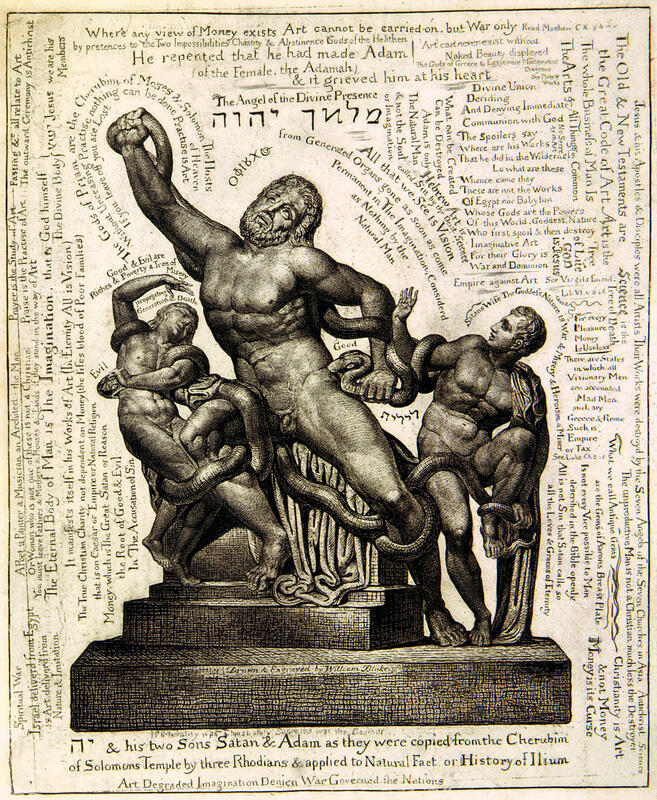 This semester, Blake and his writings arrived via “Radical Romantic Critical Theory,” a graduate seminar taught by Blake editor Morris Eaves. 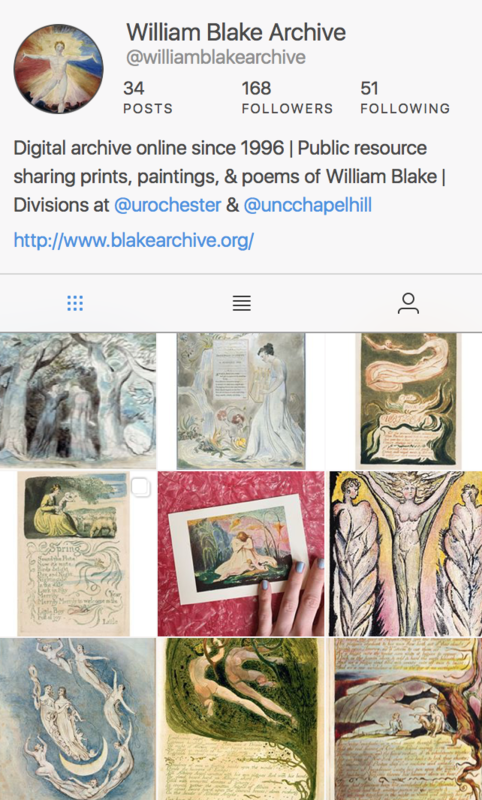 Exciting news: the William Blake Archive now has an Instagram. This additional platform will enable Blake’s materials to reach new audiences through a primarily visual application, bringing decades of digital archival work into the pocket-sized cellular devices of over one billion active monthly users worldwide. Both known for ease of access and for interweaving the visual with the textual, Instagram and the William Blake Archive are a natural fit for one another. Transcribing and proofing literary work for digital publication can be a lot like translating. You get to know the content far better than you would from even an extremely slow and careful reading, because you’ve seen every sentence so many times. This was the experience I had several years ago when learning to translate Dostoevsky’s Хозяйка (The Landlady) for my language exam, and it was the experience I had this spring and summer while proofing a new batch of Blake letters for eventual publication. 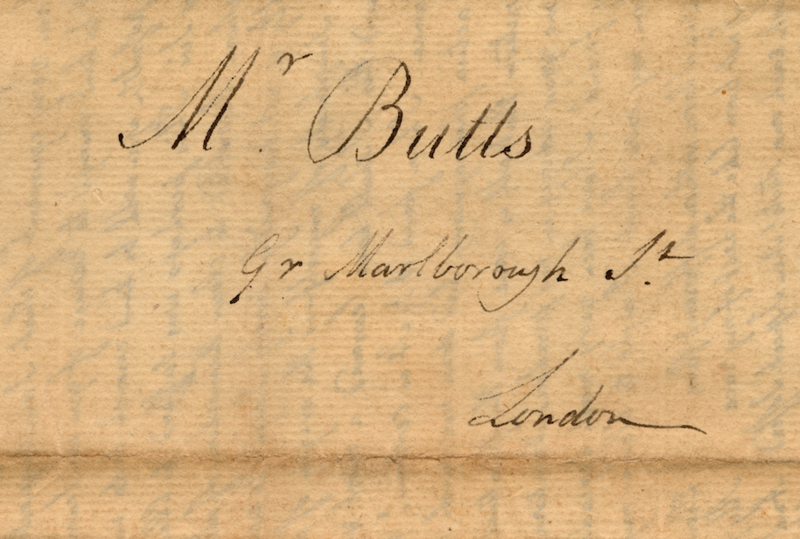 Throughout this process, William Blake’s August 16th 1803 letter to Thomas Butts became a particular favorite of mine (Find the complete text here: http://erdman.blakearchive.org/#b15). The Blake Archive Northern Division has been hard at work transcribing and proofing the next installment of Blake letters for eventual publication, hopefully within the next year. There are currently 53 letters in the Blake Archive, and this next batch will contain another 28. These two batches comprise all of the Blake letters for which we have the images in our possession. This naturally raises the question, what other letters are out there for which we might be interested in obtaining images? I recently spent some time investigating the matter to figure out how many other Blake letters there are and where those letters are located. As part of my duties as an Andrew W. Mellon Fellow in the Digital Humanities, I am required to serve as a Research Assistant for one of the many digital humanities projects at the University of Rochester. I was drawn to the William Blake Archive for several reasons. First, the Archive is a foundational DH project. Its depth and multi-institutional workflow serve as a model for onlookers hoping to recreate a successful digital collaboration. Selfishly though, I was also drawn to the William Blake Archive with an intent to gain more experience in XML, TEI, and digital-documentary editing. I hoped to adapt elements of the William Blake Archive for a more recent digital project ongoing at the University of Rochester, the Seward Family Digital Archive.